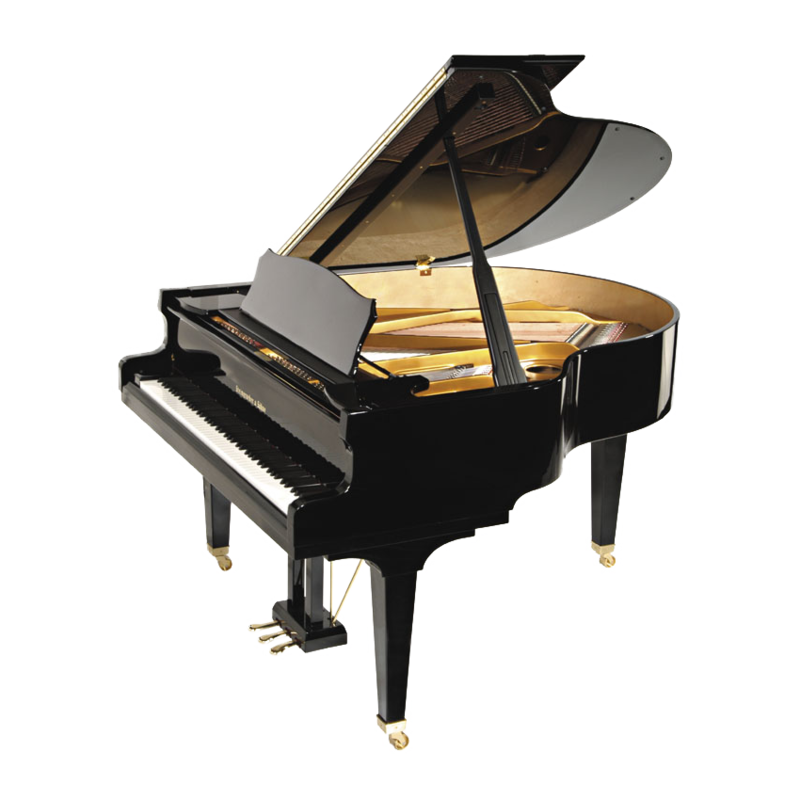 We don’t consider our Salon Grand Piano A-170 to be a “baby grand,” because it impresses one as much larger than its 170 cm (5’7”) would suggest. Its projection and volume are truly surprising for an instrument of its size. In physical terms, this phenomenon is based upon its unusually wide tail, which results in very long bass strings. The bass bridge also manages to do without bridgework, just like large grand pianos! The sophisticated, action mechanism, built to the highest specifications, makes it a truly professional instrument.